I’ve been going to Haiti most every year for the last 8 years or so, and still remember my first trip the best. I was speaking at a Church in Port-au-Prince when I heard drums outside our building. They kept getting louder and louder – sounding closer and closer. The voodoo priests were attempting to drown out our service. Thankfully, they didn’t send any zombies in to get us. That would have worked. The zombie legend is most clearly traced back to, and documented in Haiti. The stories of zombies could all be made up – could be. But, if we can find them in the Bible, maybe they are true after all. Today’s zombie literature is a bit different. Due to movie/book/game ratings, we now have zombies that run in hoards, rudely eat people without utensils, and need to be shot twice to die. Most inconsiderate. It seems to me, to find zombies in the Bible, we need a clear definition of what we are looking for. Wikipedia defines zombies as “an animated corpse raised by magical means, such as witchcraft.” I like that. It’s not a resurrection, as they are no longer what they were. There are at least 9 resurrections in the Bible, from kids to Lazarus to Jesus, but they all come back normal again. 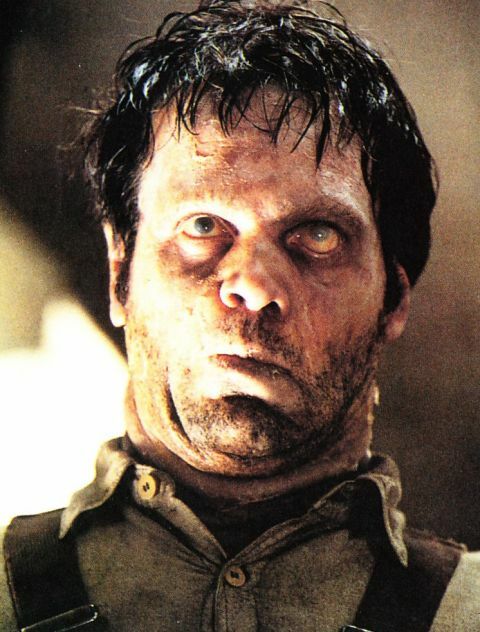 When I think of a zombie, I think of Edgar’s corpse possessed by The Bug the first “Men in Black” movie. Classic alien zombie, before zombies were cool. The one word I’d change in Wikipedia’s definition is “animated.” According to my thesaurus, animated means “lively bubbly, perky, vivacious.” Hardly a zombie. I think “obsessed” would fit best. So, what we are looking for in the words of the world’s oldest and most trusted book is, An obsessed corpse raised by magical means, such as witchcraft. To meet this definition. . .